Whee! 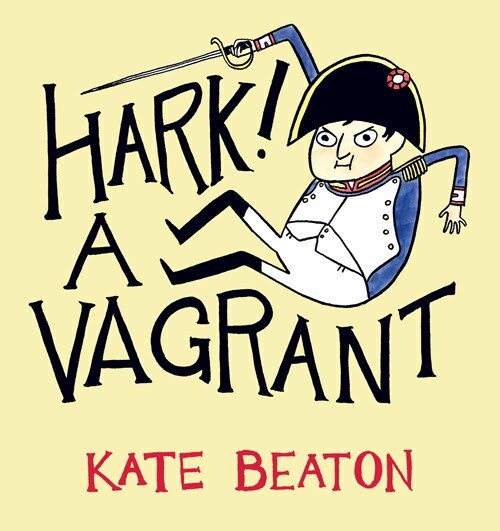 Kate Beaton! I preordered this when I knew it was coming out, and I loved pretty much every bit of it. 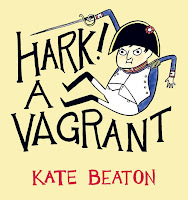 If you're not familiar with cartoonist Kate Beaton, get thee over to her website posthaste and remedy that. Her comics poke fun at literature (both the literature itself and the people who write it), history, and occasionally contemporary things. 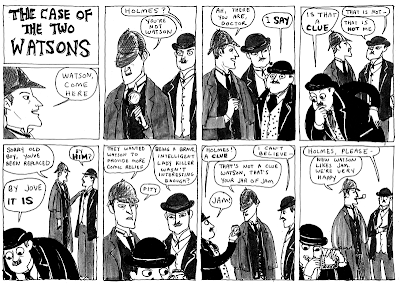 I can almost always get a laugh out of a Kate Beaton strip. In fact, I think some of her work -- enough of it to note -- is absolutely brilliant. Which is excellent, although it does mean that if she posts a rather mediocre strip it's even more devastating. Generally, the work in the book is the best, although there are one or two middling bits. I wouldn't worry about these, I only sigh because I know she can be so good. The nice thing about the book, too, is that it compiles related strips in one place. So all of the French Revolution stuff is in one place, and all of the superhero bits, and all of the Teen Detectives bits, and (some of my favourites) the Goreys, where Beaton has taken a whole bunch of book covers drawn by Edward Gorey and then riffed on them -- judging books by their cover, to excellent effect. Often at the beginning of a set, there will be some commentary included, and what makes me happy about this is that it's not exactly that Beaton is explaining her jokes, so much as adding to them -- so what could be unfunny or too much information actually adds to the overall experience. Sometimes the strips are even better having read the commentary. Beaton is one funny lady. Okay, so not a deep read by any means. But smarter than your average comic strip, and in some cases I even learned things. Those of you who like books, or history, or both, and have a sense of humour about things like the guillotine, should definitely check this collection out. Seriously, go look at the website. Buy her stuff. Buy her book. Please make sure she keeps publishing stuff because a world without Kate Beaton's comics is a sad, sad world. I like it when a website turns into a book! Yes, fun! Especially good ones. Though sometimes things that are excellent online don't translate as well to hardcopy, I find. This, happily, is not such a case. It makes for some very funny comics. :) I hope you enjoy!